After two weeks of negotiating, parties finally reached an agreement in Paris during COP21. To paraphrase Barack Obama: "I believe this moment can be a turning point for the world," followed by a statement on the agreement, calling it - "the best chance we have to save the one planet that we've got." In 2018, two years before the agreement is enforced, countries will publicize their current environmental impact and revisit their carbon-curbing plans for 2020. More financially powerful and sustainable countries committed to 100 billion Euro a year pledge collected by 2020 to invest in regions with less financial stability. All countries will use the same methodology to track their Co2 emissions, creating a transparent overview of the process. Instead of a top-down over-encompassing global approach, countries will set their own goals and become individually responsible to reduce their CO2 footprint. For an electric vehicle charging and service provider, this is a great outcome. The emphasis is on local responsibility, countries will adopt climate goals and will allocate a percentage to clean vehicles. Currently, the EV is the only personal transport vehicle that can reduce CO2 from driving to zero. Without changing your behavior, you can drive thoughtfully in the comfort of your own car. During 2009 COP’s edition, there was no electric vehicle in mass production; the Nissan Leaf only hit the roads in 2010. In the last 6 years, battery prices have dropped by 75%, and over 40 hybrid or fully electric vehicle models were introduced into the market. We’ve reached over 1 million EVs on the road worldwide back in September. While the movement was just starting in 2009, driving an electric vehicle is no longer a dream or a conversation open for interpretation today. It’s something real, a driving force, and increasingly substantial in adoption each year. The increasing adoption of electric vehicles is extremely important for the EU and China. While the EU dropped emissions by 19.8% between 1990 and 2013, the Transport sector still increased its emissions by approximately 19%. With COP21’s agreement in place, we believe that 90% of inner-city mobility should be electric within the next 15 years. The time is now within EU to move towards the sector’s decarbonization. China is responsible for 24% of global greenhouse gas emissions and local air quality is a big, big problem. Beijing recently issued the first air quality “red alert”, it’s expected that the country will keep heavily investing the electric car adoption as well as in the battery business. In an attempt to curb local emissions, the Chinese government has set the goal of 5 million EVs by 2020. A final remark to the overall sustainable movement that is being created post-COP21. From car manufacturers like Ford - recently announcing its pledge for a massive five year, $4.5 billion investment in EVs, to celebrities and political leaders like Arnold Schwarzenegger with empowering speeches and Facebook notes supporting clean energy, or even French Minister of Ecology, who challenges to create an electric car for the people that costs between $5400 and $7500. Innovation moves fast and sudden. We did not stop using CDs because they were not working. We just found a better, easier way to listen to music. 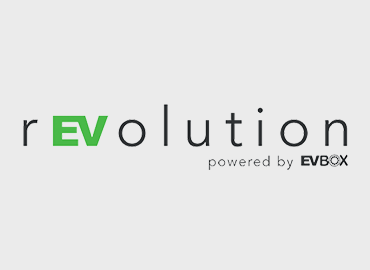 For us at EV-Box, we look at EVs in the same way. EVs provide a better driving experience, have no tailpipe emissions, and with proper charging infrastructure everywhere you stop, you never have to go to a gas station again.